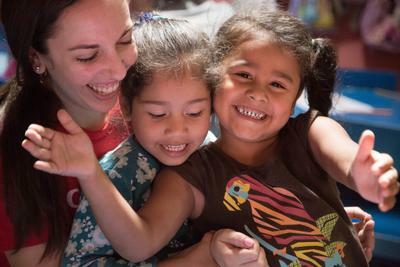 Read our position statement on orphanage volunteering. The reach of our programs is greater, which means development is longer-term and sustainable. For example, Microfinance Projects can provide loans for parents to improve their independence and family stability, Public Health can provide access to medical services, Human Rights can help parents access the legal support to keep their families safe, and Nutrition can raise awareness and improve quality of life. In addition to working with local organisations we trust, we also have Care Management Plans in place in each country where we work with children. The Care Management Plans give each program a clear purpose and outline the goals that we are working toward. For example, if we have assessed a day care centre and determined that the children are not meeting development milestones for their age, our volunteers will focus on Early Childhood Development.